There were these trailers parked near my house, so I decided to check them out and see if there were any photo ops there. The sun was still shining bright so I was good at ISO 25. I set it to this because the Vericolor II film I was shooting expired in 1977! That’s the same year Star Wars was released!!!! Anyhow, I shot this with my 60s era Rolleflex. Something about this wheel guard caught my eye. 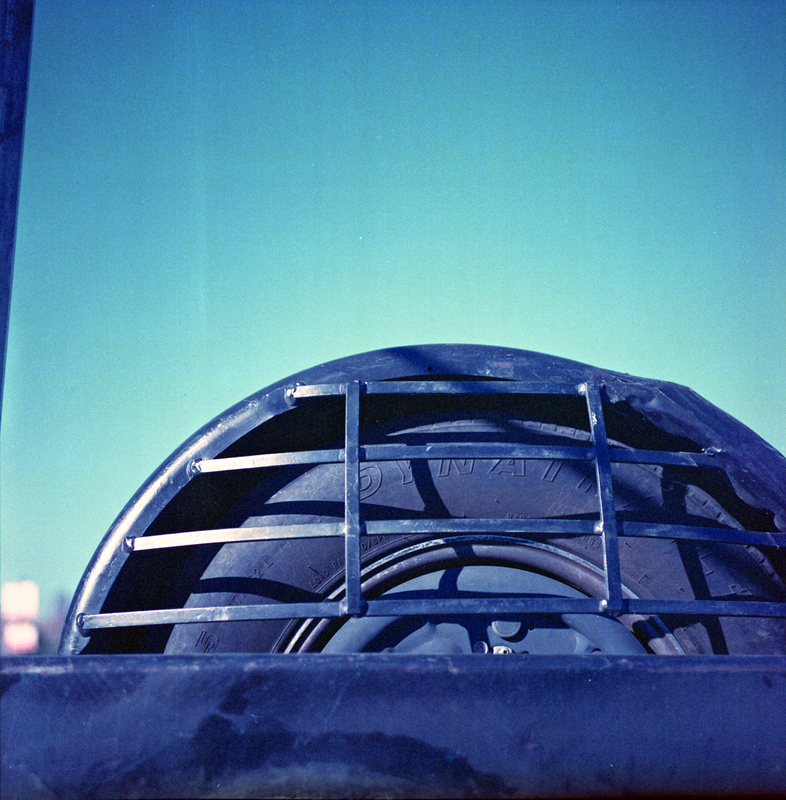 Almost like a football helmet for a tire 🙂 Processing was done at home using the Arista C-41 kit. Dev & Blix temp was kept at 104F w/ agitation/inversions as directed by the instructions. I did a 1min wash between dev & blix with 5 inversions to ensure the developer was removed as much as possible. (A trick i learned from the #believeinfilm peeps on twitter) Dev time was 3m 45s, Blix time was 6m30s , Wash was 3ms and then stabilizer for 1m. Scanning was done w/ an Epson v550 using ANR glass and scanned at 3200 dpi. Color shift as expected.